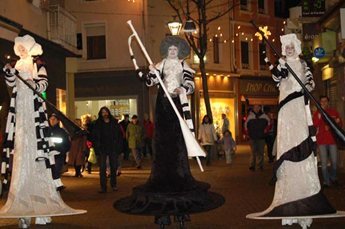 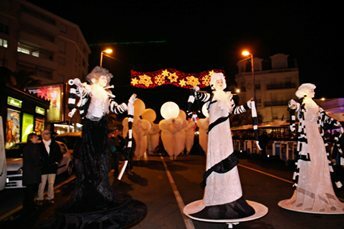 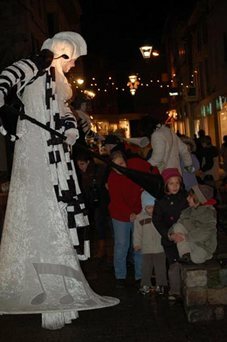 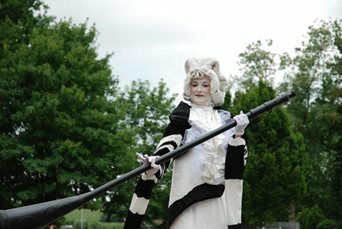 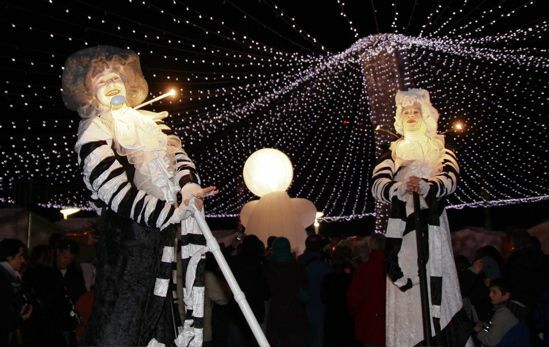 Three black and white characters on stilts advance in the street. 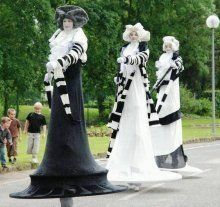 They approach and whisper musical extracts in to audience members ears. 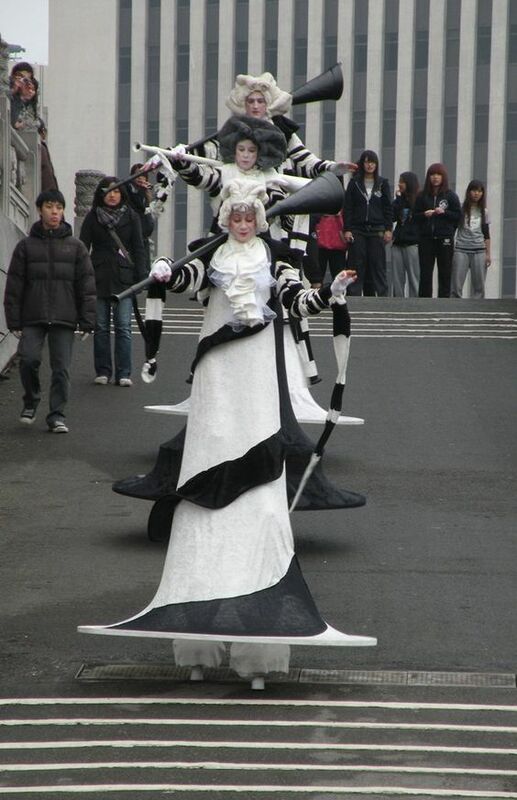 From their strange musical instrument, the stilt walkers play different melodies and begin to dance. 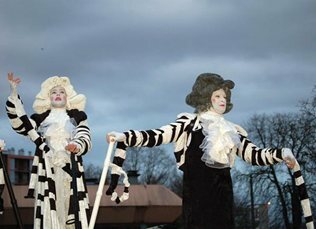 Both funny and moving, these strange characters lead the audience in their musical imagination. 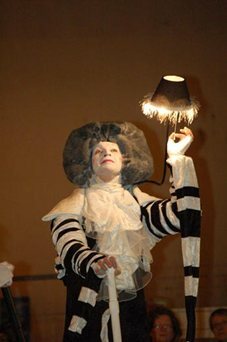 The musical extracts can be adapted to suit the theme of your event. 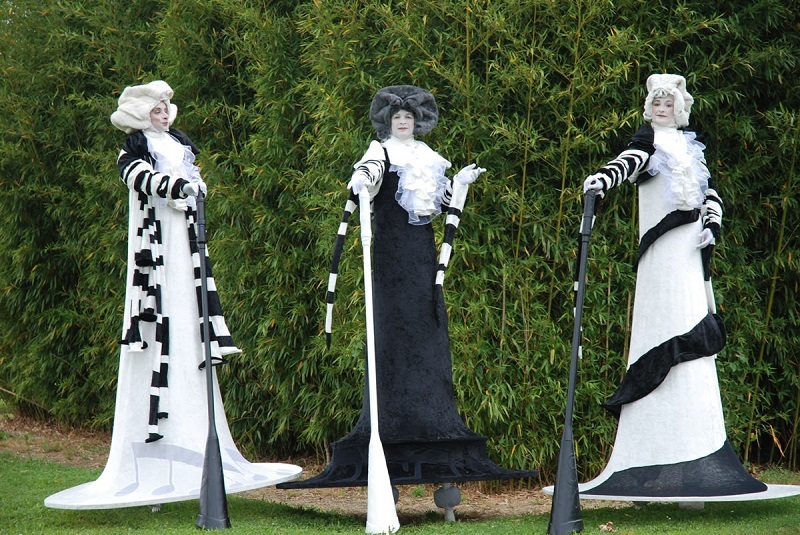 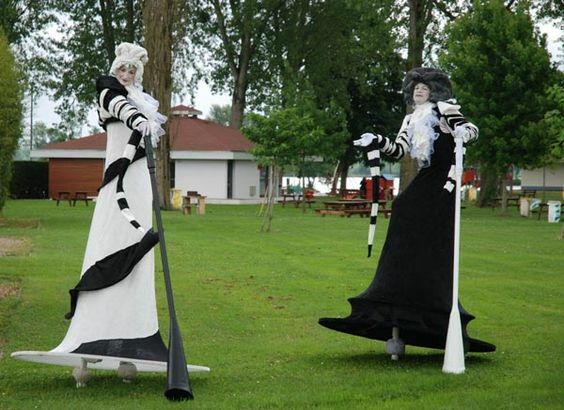 The musical stilt walkers can perform approximately 2 x 45 minute sets.